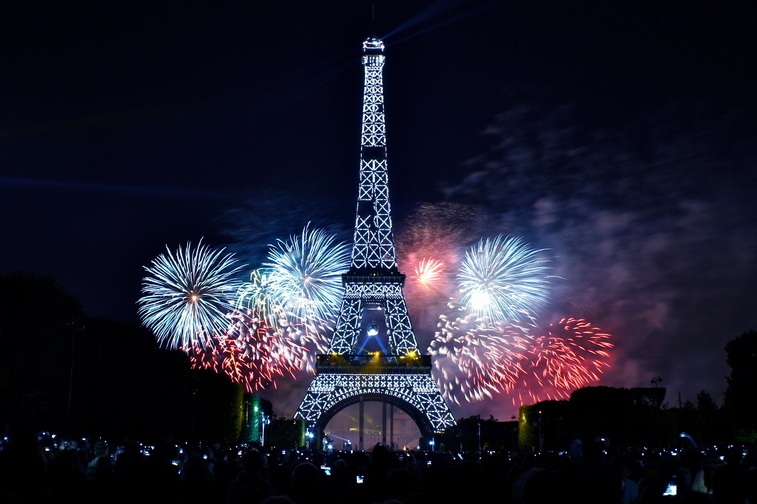 The 10th arrondissement has never been recognized as a destination spot for the tourists who flock to Paris each year (a staggering 15.6 million in number). 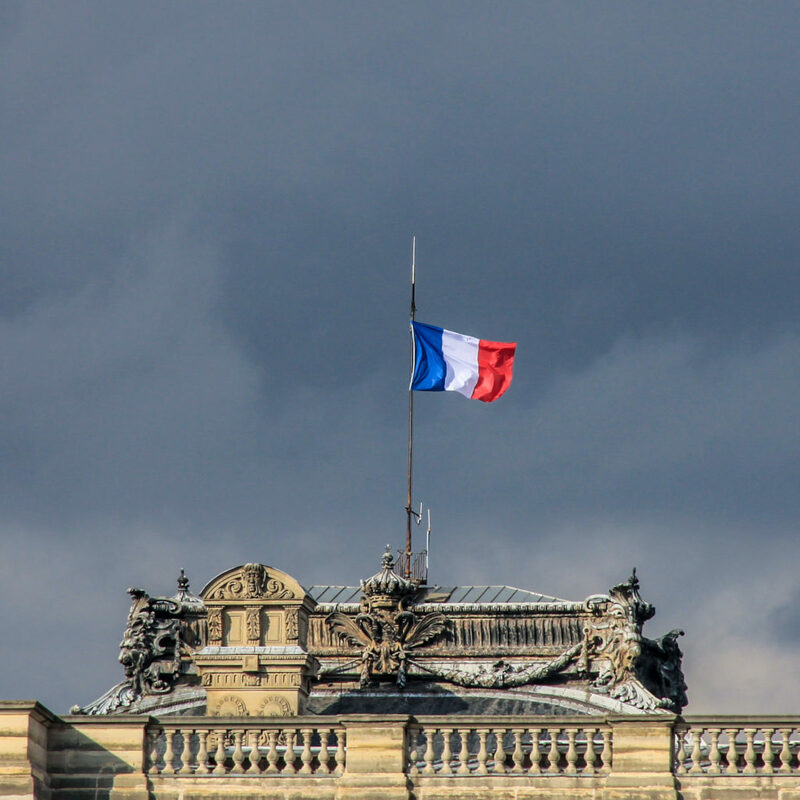 For many, the only notable mention in the 10th was the site of the cities two busiest train stations; the Gare du Nord and the Gare De L’Est. 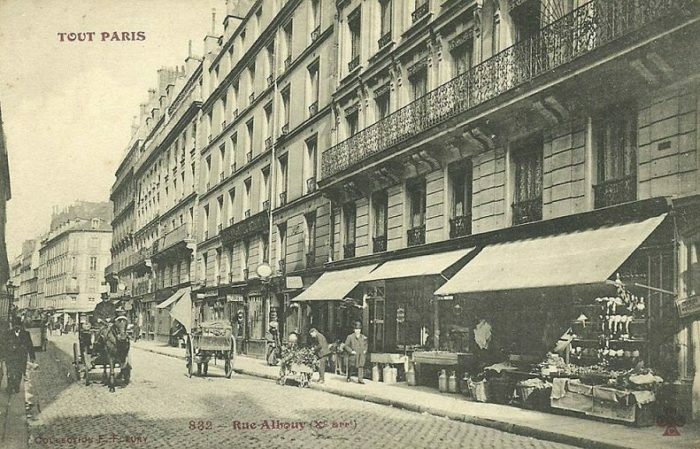 Widely perceived as the most multi-ethnic neighborhood in all of ‘Paname’ (slang for Paris), the 10th humbly existed without any glory or fanfare. This was to change in 2005 – when an onslaught of careered and upwardly mobile creative types flooded the neighborhood seeking inexpensive rent. Say goodbye to those old days for good. Take a long walk down the Boulevard de Magenta today. 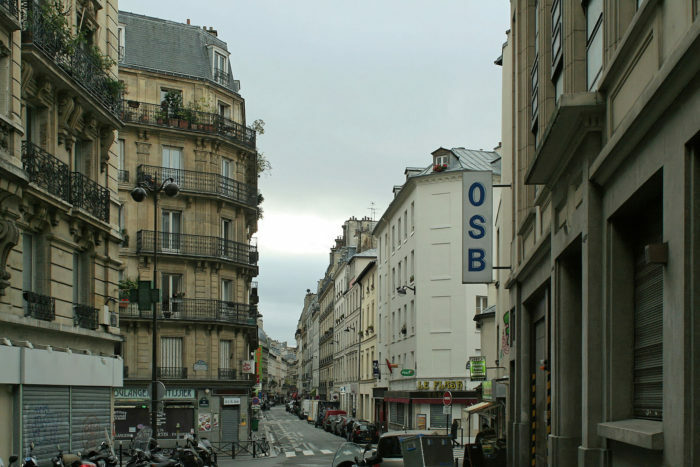 This previously working-class neighborhood is now a hotbed for the ‘Bobo’ – a nickname for the Bourgeois Bohemian (the closest description of a ‘hipster’ in the French language). The boulevard, along with its spider-webbed streets unfurling from the main artery, reveals hundreds of newly crowned boulangeries, cafes, and épiceries – all specifically designed to entertain this new upper class. Nightclubs and bars alike litter the streets – the avenues awash with students, savvy travelers, and locals wandering about the city’s now most fashionable and exclusive neighborhoods. 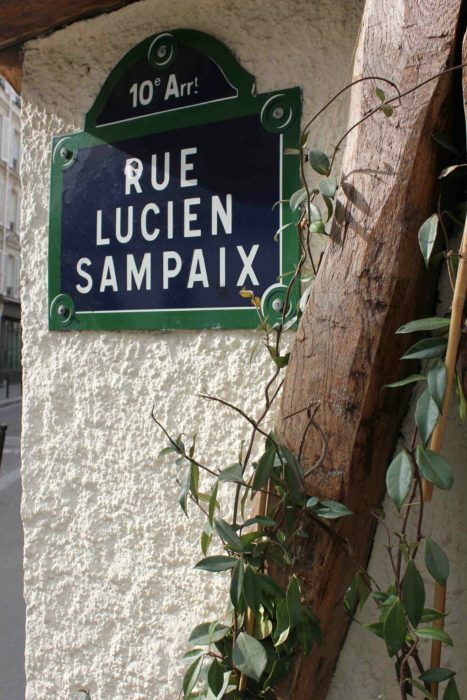 Just a five-minute walk from the Gare du Nord is our featured street: the rue Lucien Sampaix. This charming lane strides majestically northeast just off the Boulevard de Magenta and is cleverly understated – with its marble Napoleonic doorways and four-storied balconied residences stretching towards a curved inlet, leading onward east to the Canal St. Martin. The street itself is named after Lucien Sampaix, the editor of the revolutionary L’Humanité – a communist newspaper founded in 1904 (whose slogan, loosely translated, is: “In an ideal world, L’Humanité would not exist”). Sampaix lived a life of political controversy and was a tireless fighter for justice. He was jailed in 1939 by the French police, somehow escaping from prison a year later on Christmas Day. Sampaix returned triumphantly to continue L’Humanité’s scathing critique of the Vichy government, who aligned themselves with the Nazi occupation forces in France. Sampaix was captured once more and delivered over to German forces, condemned to a labor camp for the rest of his life. The Germans decided instead to shoot Lucien Sampaix to death December 15th, 1941. His namesake is honored around the city of Paris with pride, with this street renamed for his work and sacrifice on June 8th, 1946. Walk with quiet contemplation up the regal street and take a quick left on the Rue de Vinaigriers to the gorgeous banks of the Canal St. Martin. Here is one of the true gems of everyday Parisian life. During the summer months, the canals are packed with students popping bottles of Côte du Rhone and slicing up saucisson on blanketed sheets with their friends by the banks of the canal. The footbridges crossing the canal offers some of the most majestic and romantic views of Paris by sunset. The canal has been made famous in classic French cinema in films such as Hôtel du Nord, L’Atalante, Les Malheurs d’Alfred, and more recently depicted in the frenetically stylish film, Amélie. Even Edith Piaf croons of the beauty of the canal in her song “Les mômes de la cloche”. The canal was built by Napoléon Ier in 1802 to create an artificial waterway to supply fresh water for Parisians to help the growing population avoid dysentery and cholera. Nowadays this fresh water fact seems hardly appropriate, as the canal has been the unfortunate vestibule of trash, sewage, and an odd assortment of bizarre items. The city officials drain the canal every ten to fifteen years – and remains a day of curiosity for local Parisians. In 2016, over 40 tons of rubbish was removed from the Canal St. Martin, costing the city over 9 million euros in expenses. Bicycles, stereos, motorbikes, cameras, scooters, shopping carriages, office supplies, rolled-up carpets, street signs and other discarded possessions were found during the drainage project. Just at dusk comes the revelation – standing there, watching the orange sun set behind the trees curving over the shimmering surface of the canal, some music echoing from the streets below, and the low murmur of the excitable crowd creates such a portrait of sensual beauty that one forgets they are standing in the center of a major western metropolis. 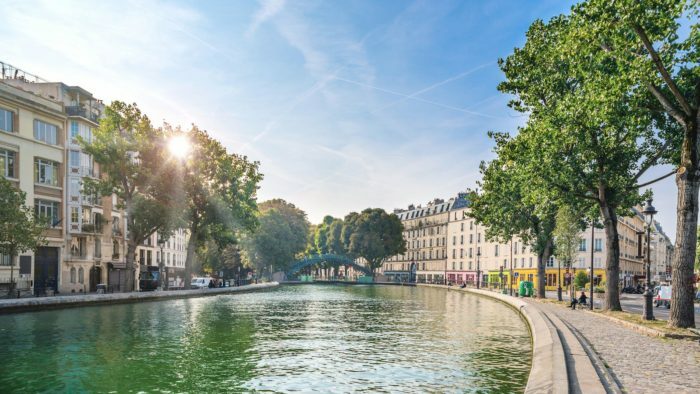 The Rue Lucien Sampaix and the Canal St. Martin remains one of the most intriguing walks Paris has to offer – so conjure up a relaxing afternoon stroll while you visit and soak up all of its lush pulchritude. Stay tuned for the next amorous adventure with Paris: Street by Street.